This November the Church in the UK is doing something very special that members are being invited to take part in. 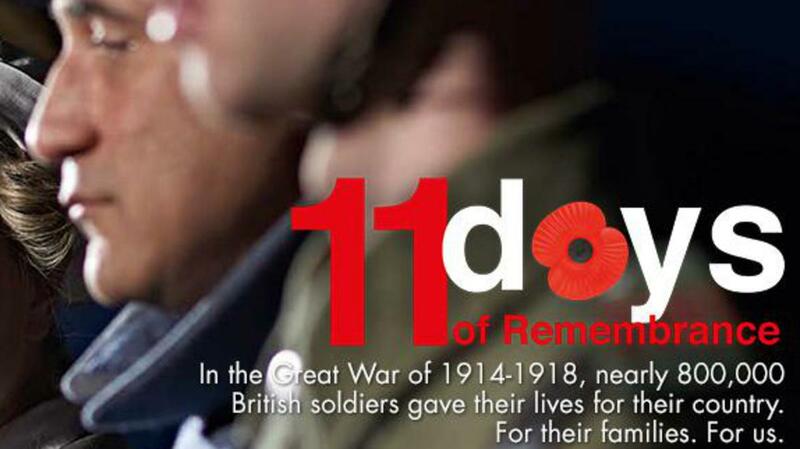 Starting from November the 1st all the way to the 11th acts of service and remembrance will be taking place. Members will have the opportunity to perform acts of kindness and do good to friends, families and strangers. Daily themes, scriptures and service opportunities will be suggested for each day, drawing inspiration from themes of love, hope and courage. Similar to the campaign we do at Christmas called Light the World. Stakes and wards may choose to run a Remembrance Day sacrament meeting on themes appropriate to the day, emphasising the joys of the resurrection or hold a special devotional, encouraging members of the Church, their friends and families to participate in a special commemorative programme. Bishops may plan a Sunday schedule that permits wards and branches to attend their local community’s morning memorial. Youth and young single adults will be encouraged to seek out WWI ancestors from their family tree. Learning of these brave ancestors, and performing their saving ordinances in the temple before November 11, can add a deeply spiritual and personal significance to this Remembrance Day. At the end of these 11 days a special WW1 Remembrance Day show will be performed with an 80 person choir at Hyde Park chapel on 11/11/18. It has been written by the same volunteers that helped stage The British Pageant and Our Story Goes On.